Capital Calibration Services Limited was formed in 2002 by the Managing Director, Mr Jeffrey Rifat. He was part of the team at Robin Electronics Limited for fifteen years. He then moved on to the Fluke Corporation for a short time but then felt that there was an opportunity to provide a better service to the customer with his knowledge of the electrical and electronic industry. Capital Calibration Services are a Quality Assured Company and our main aim is to care for our customers’ needs. 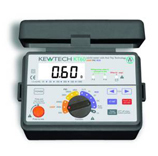 We offer calibration; repairs and sales of all types of test instruments. 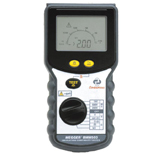 Our aim is to provide the complete service for the Test Instrument Industry. We service all major electrical wholesalers and independents as well as some end-users. Our friendly staff are here to help with advice and prices. Every customer is important to us and we strive to satisfy all our Customers needs for testing and inspection. • Free return courier service for every parcel delivered to us.